Muse will play The Pyscho UK tour in March and have confirmed the release date of Drones as 8 June 2015. 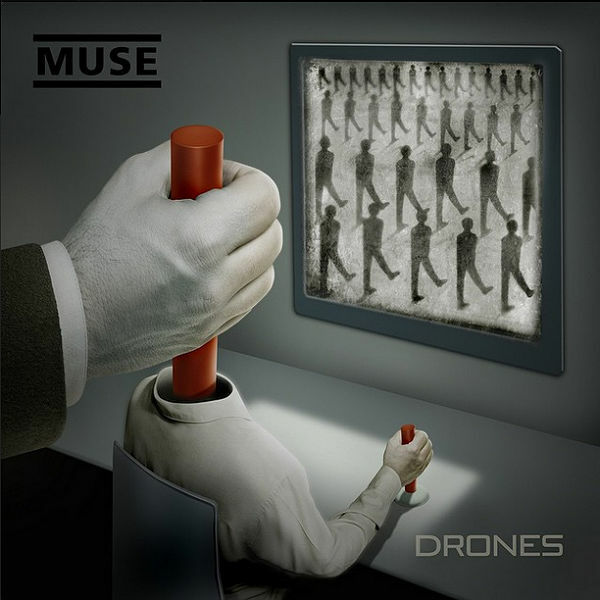 "To me, 'Drones' are metaphorical psychopaths which enable psychopathic behaviour with no recourse," said frontman Matt Bellamy. "The world is run by Drones utilizing Drones to turn us all into Drones. This album explores the journey of a human, from their abandonment and loss of hope, to their indoctrination by the system to be a human drone, to their eventual defection from their oppressors." Tickets go on sale at 9.30am on Thursday 12 March. The first single from the album, 'Dead Inside', will debut the week of 23 March. The band will premiere the album track 'Psycho', via their YouTube channel at 6pm GMT on 12 March.